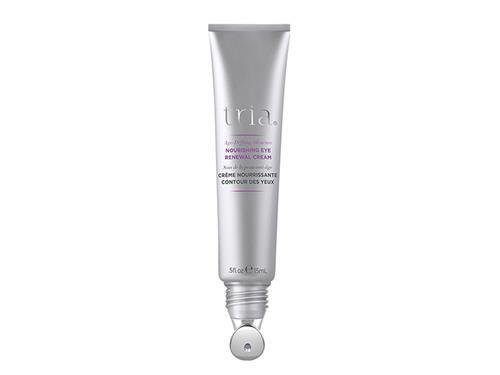 Soothe post-laser eye skin with Tria Nourishing Eye Renewal Cream. This nourishing eye cream soothes skin following laser treatment while replenishing moisture and reducing the appearance of puffiness, fine lines, and wrinkles. It is specially formulated with hyaluronic acid and ginger extract to help soothe and hydrate laser-treated skin, along with retinol to help minimize fine lines and wrinkles around the eyes. The metal applicator helps calm and cool skin after laser treatment.